Alan lost his right eye in a golfing accident in March 2014. Alan has been a member of his golf club for 58 years. His father was also a member for 55 years and his wife is currently a member. Therefore, golf has been a huge part of his and his family’s life. During a round, Alan’s ball ran off the fairway and ended up resting on a sloping line between a bush and a small tree. He tried to chop it out with a 4-iron but, when he hit the ball, it struck a root, which was turfed over and therefore not visible. Unfortunately, the ball ricocheted back off the root and struck Alan in his right eye. Straight away, Alan knew something seriously bad had happened to him. He immediately lost the sight in his right eye and, as a result, had to have it replaced with an artificial eye. Furthermore, he is no longer able to do one of his passion in life, marquetry, and he finds it particularly difficult to judge distances – things aren’t as near as he thinks they are. On the bright side, he is still able to play golf. At first, he decided to give it up but family and friends at his club all insisted he continues. The only difficulty he has now, due to not judging how close things are, is that he occasionally picks up penalties for touching the sand in bunkers, as he can’t tell where the end of the club is. The accident has also served as a massive lesson to his golf club, which has since put up signs warning players to watch out for tree roots. To be on the safe side, Alan now always carries safety glasses in his golf bags to use when he thinks he’s at any type of risk, as he knows he cannot afford to lose the sight in his other eye. Had he not had Golf Care insurance, Alan would have been even worse off. Instead, he received an undisclosed pay-out from his policy. Alan’s case is an important one for golfers to take note of because it illustrates how quickly and easily things can go wrong on a golf course. The unexpected can and will happen but, so long as you have the appropriate cover, you will at least have something to fall back on should an accident happen. 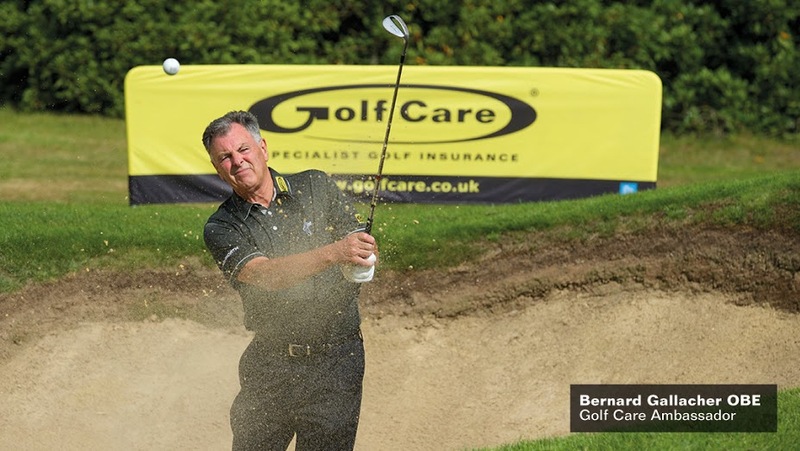 The message to all golfers, therefore, is very simple: ensure that you’re insured!